This is an almost daily drama conducted on the house patio. 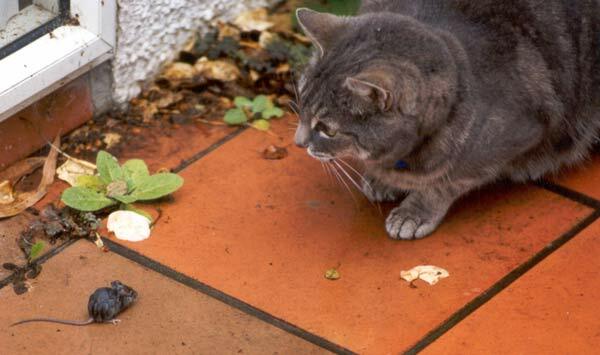 Looking like symbols of David and Goliath, Stumpy faces up to rodent number 154. The outcome of this particular encounter does not make good family viewing, however... Goliath won. Seriously though, I am glad that the cats are able to keep our barns and buildings vermin free. It's a sad but necessary part of country life, and all the cats here (except Mugsy) are good mousers.